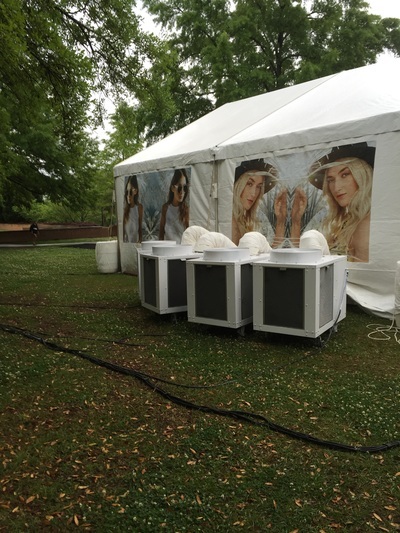 Portable Air Solutions is your partner for event or party comfort. 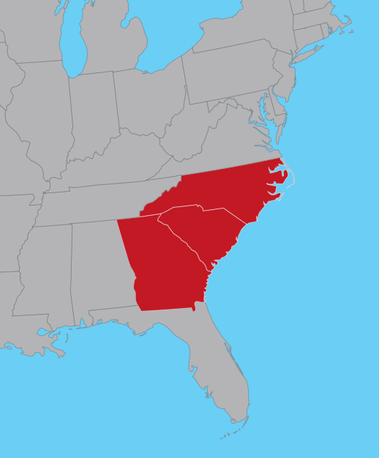 We provide temporary heating and cooling solutions in South Carolina, North Carolina and Georgia. Whether it’s a party, wedding reception, sporting event, or corporate function, give us a call at (803) 600-6226. We will be there with everything we need to get the job done. We have over 25 years working in the event and party rental industry. With our experience, we understand not only what you need from us, we also understand how all the vendors and factors play a part in creating a successful event. We know what to bring and where to place it in order to maximize comfort for your party or event guests. ​Whether it’s air movement, air conditioning, heating, or power distribution, let us help solve your need and suggest the right products and placement. We get it done, and get it done right. The photos below show units we've delivered and installed to keep cool at corporate tent events and weddings - even in the middle of August in South Carolina. We will keep your party guests comfortable no matter what's going on outside. 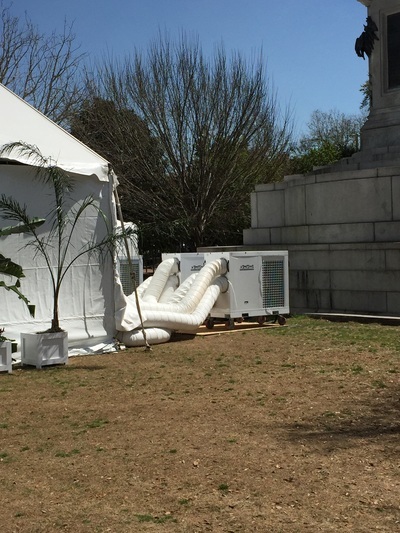 How much will air conditioner rental for a wedding or tent party cost? Wondering how much it might cost or what equipment we will bring to heat or cool your party? Send us a quick email using the form below and we'll get right back to you with all the information you need.